Scottish-American singer, songwriter, artist, film and record producer born May 14, 1952 in Dumbarton, Scotland and based in New York City. He was married to Adelle Lutz from 1987 to 2004 (divorced). 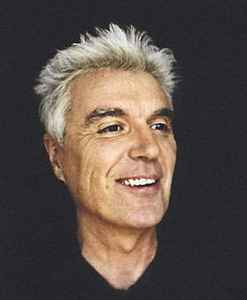 Best known as the lead singer of Talking Heads, David Byrne has also collaborated with many artists from Brian Eno to X-Press 2, and has also released several solo albums on his own Luaka Bop label.